Elizabeth Ann Sovis, the Edmonton woman killed by an alleged impaired driver while cycling in Prince Edward Island, took every precaution to stay safe when she was on the road, her husband said. 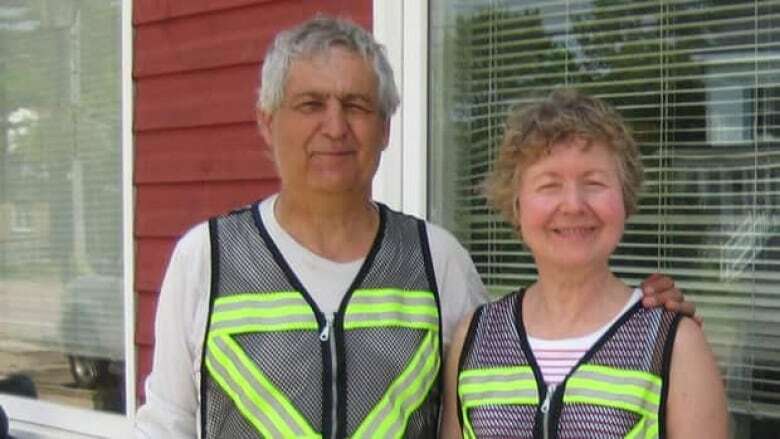 An Edmonton woman killed by a suspected impaired driver while cycling in Prince Edward Island, took every precaution to stay safe when she was on the road, her husband said on Monday. Elizabeth Ann Sovis, 63, was cycling with husband Edmund Aunger on a highway without shoulders near Hunter River when she was struck from behind by a van shortly after 6 p.m. AT Saturday. "There's a cruel, very cruel irony there that someone who's so safety conscious and so reluctant, so adamant, that she would not ride on roads that had no shoulders, that that very thing would happen," Aunger said. Aunger was riding ahead of his wife and was waiting for her to catch up when he heard a loud bang. "I thought maybe someone had dropped a load of lumber or something. I kept on pedalling," he said. "But then I realized that the cars going in the opposite direction, they were stopping and people were getting out of their cars and running." When Aunger arrived, he saw bike parts on the road and people gathered around. "She was wearing a helmet. She had taken a very bad hit to the head, to the temple," he said. "Her eyes were glazed. She was bleeding from the mouth. I knew she was dead." A 49-year-old man from Kensington P.E.I. 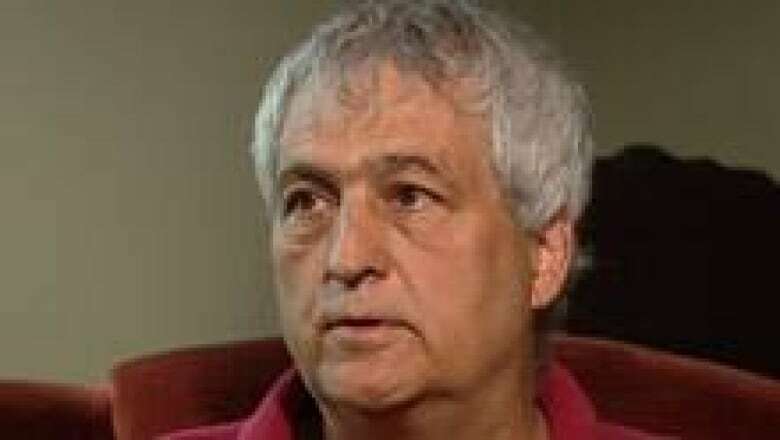 is charged with impaired driving causing death. "I pray for him," Aunger said. "The rain falls on the just and on the unjust. And she could've had an accident and broken her leg. She could've had an accident and had serious injuries. She was killed almost instantaneously. And who do we blame? It happened. It happened." Over the past decade, the couple embarked on three-week cycling tours each summer, their travels taking them to Europe and several Canadian provinces. They arrived in Moncton on July 9. After spending a couple of days biking around the area, they took a train to Sackville, N.B., where they got back on their bikes to continue their journey to Prince Edward Island. They took the train for part of the way because Sovis refused to cycle on roads without shoulders, Aunger said. "We have fluorescent safety vests, very, very bright, that we wear. She had bright fluorescent on her panniers," he said. "I never met anyone that was more safety conscious and more careful in every way when she was cycling." Sovis taught French at a high school in Sherwood Park, east of Edmonton, and also had a masters degree in speech language pathology. She was one year away from retirement and dreamed about developing safe cycling paths across Alberta, Aunger said. Aunger is back in Edmonton, now facing life without a woman he first met when they were both children. "I've known my wife since we were 12 and I've loved her ever since," he said. "And I've been very blessed. Very blessed. There are not many people that can have, will have, as happy a marriage as we've had."